previously understood stratigraphic age constraints on the timing of initial basin sedimentation (Surpless et al. 2006). More than 10 years after this provocative study, the age and stratigraphic architecture of the basal Great Valley forearc remains unclear. The objectives of this study are to study the “birth” of a forearc basin through determining the depositional age and stratigraphic architecture of the basal Great Valley forearc basin. The Yarlung suture zone in southern Tibet contains several sedimentary successions that record sedimentation along the southern margin of Asia and leading edge of India prior to and following the onset of continent-continent collision. Our current work documents the discovery of two previously undocumented siliciclastic sedimentary successions, which we mapped and measured during our 2018 field season. Forearc basins are important sediment archives for understanding continental dynamics because they preserve the tectonic, erosional and magmatic record of convergent margins. However, the tectonic forces that drive subsidence in forearc basins are poorly understood. This research seeks to determine the relative contribution of a variety of end-member subsidence mechanisms that act on forearc basins by using the California Great Valley forearc basin as the natural laboratory. Recent advances in the understanding of He diffusivity in zircon provide new opportunities to extract thermal histories from regions with which experienced multiple and prolonged thermal events using the zircon He method. 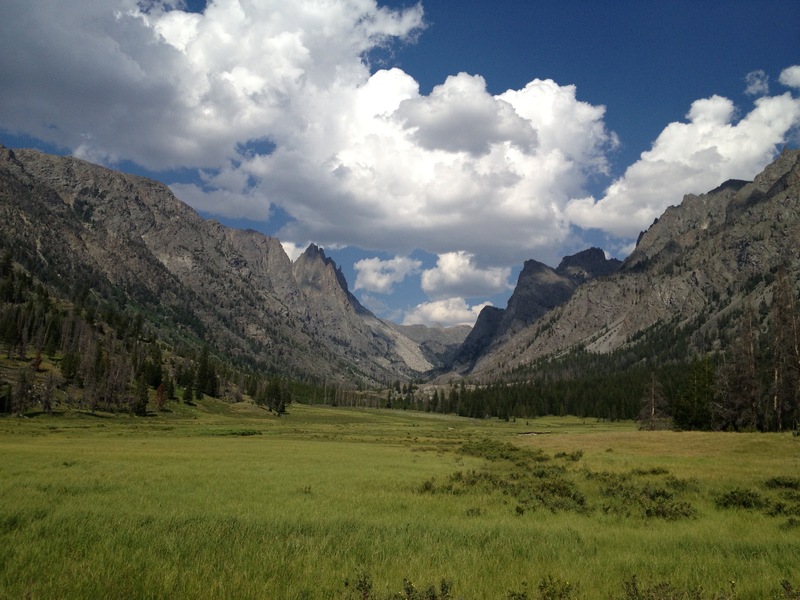 We are currently working on new thermochronologic constraints on the time-Temperature history of the northern Rocky Mountain region in Wyoming.